BORG, Carl Oscar (1879-1947), Swedish-born painter, illustrator and etcher who came to California in 1903. 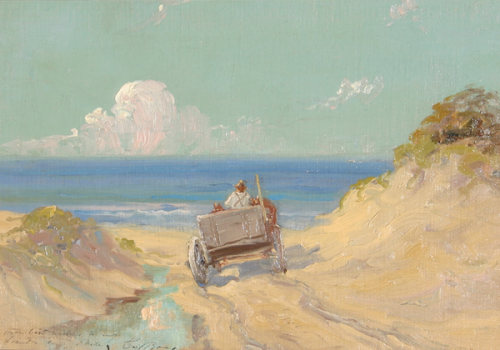 He taught at the California Art Institute in Los Angeles, and from 1918 to 1924 he lived in Santa Barbara and taught at the School of the Arts. Borg traveled in California and the west, and made several return trips to Europe. After World War II, he returned to Santa Barbara where he died in 1947. 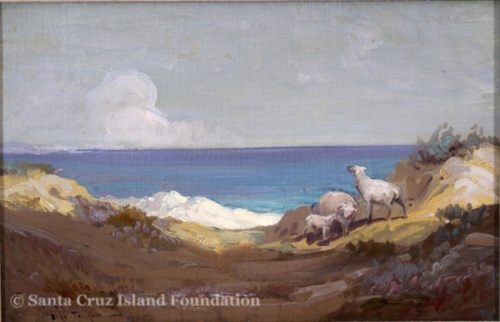 Borg is known to have painted at least two large oil paintings depicting the capture of sea lions on Santa Cruz Island. 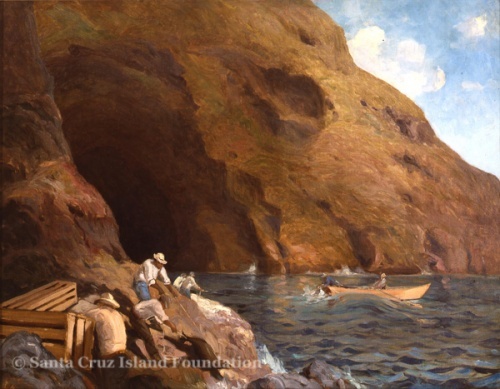 Captain McGuire Catching Seal, 1912 is owned by the Santa Cruz Island Foundation, as is a San Miguel Island painting by Borg. Several archaeological items from San Miguel, Santa Rosa, Santa Cruz, and Santa Catalina islands were gifted by Borg to the Etnografiska Museet, Stockholm, Sweden, and to Goteborgs Etnografiska Museum, Goteborg, Sweden. This page was last edited on 6 August 2018, at 13:30.